Following on from the phenomenal success of the first Soho venue, Hoppers is launching its second site in St Christopher’s Place this Autumn. The concept of hoppers was unfamiliar to most Londoners prior to October 2015. 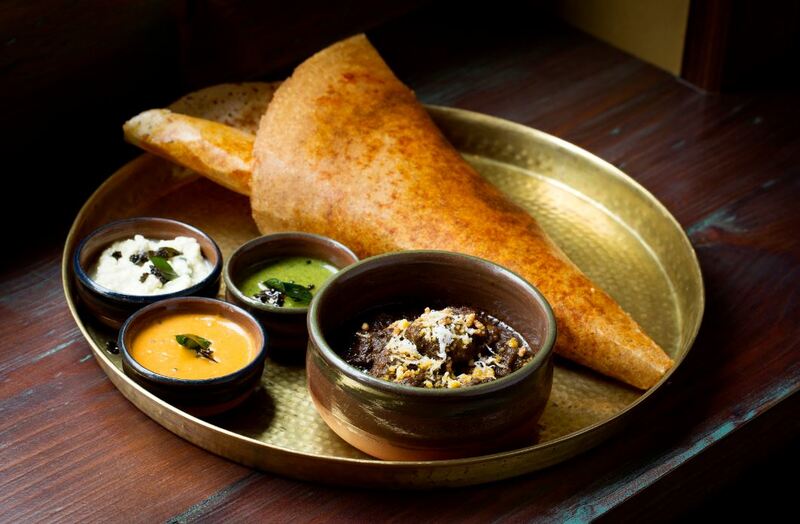 Those with familial ties to Sri Lanka or Tamil Nadu may have had fond memories of aunties swirling the pale batter around bowl-shaped pans, sprinkling sweet jaggery over the bubbling mixture or ladling heaps of fragrant curries into the cooked paper-thin domes. Spicy food lovers may have similarly found themselves coming across them in boisterous Tooting Broadway curry houses, but for the majority, their introduction to hoppers came in the form of the Sethi family’s no-bookings-taken Hoppers London in Soho. 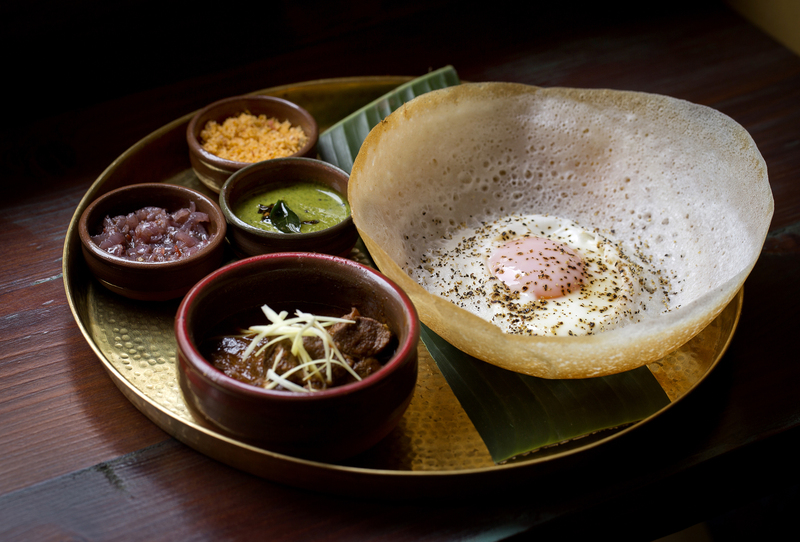 The original restaurant boasts traditional Sri Lankan street food including hoppers (of course), dosa, biriyanis, curries and rotis. Carefully concocted cocktails fabricated by Matt Whiley (Peg + Patriot and Scout) join the offerings and work in perfect harmony with the intensely flavoured dishes. All this, along with its friendly staff, authentic décor, and original concept, helped make the inaugural site a runaway success, with queues out the door almost every day since its opening. With this in mind, we at Sated are certainly eager to see what the next restaurant has in store. Hoppers St Christopher’s Place will be considerably larger than the original, accommodating 85 guests across two floors with an additional 16 seats available on an outside terrace. Late Sri Lankan celebrated architect Geoffrey Bawa and his early works on “tropical monochromatic modernism” will inspire the interior, breaking down the barrier between inside and outside space. The menu will feature a number of dishes created exclusively for the opening with a focus on traditional Sri Lankan spicing and flavour to include Short Eats of Jaffna Beef Rib Fry and Tuna & Tapioca Cutlets with Avocado Sambol, as well as new larger sharing dishes of Claypot Baby Chicken Kukul Maas, String Hopper Seafood Kothu, Kalupol Black Pork Ribs with Fennel and Turmeric Sambol, and a daily changing lunchtime Rice and Kari plate. The signature dishes that led Hoppers Soho to receive critical acclaim in its first year of opening will also remain. Sitting alongside the menu will be a new drinks list including cocktails that will take inspiration from the exotic flora, vegetation and fruits of Sri Lanka focusing on Genever and the Sri Lankan spirit, Arrack. 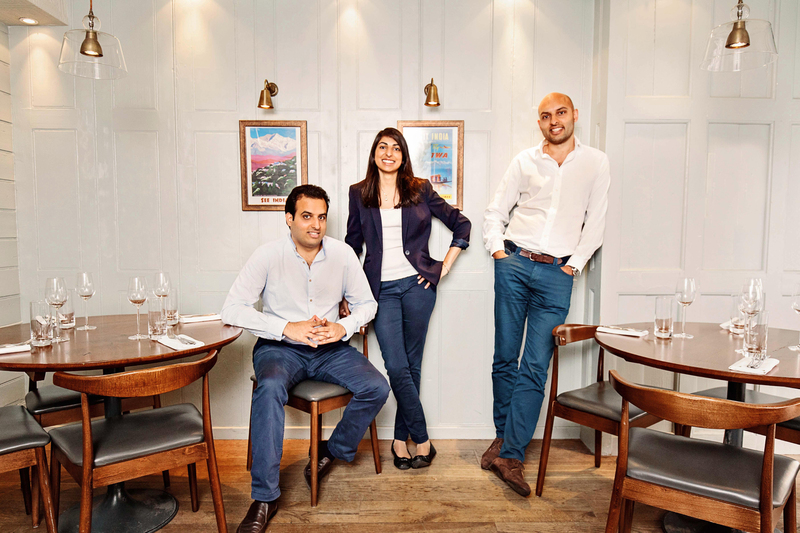 The proliferation of yet more fantastic food from the Sethis (owners of Michelin-starred Indian restaurants, Trishna and Gymkhana) is a thrilling prospect, however possibly the most exciting aspect of the new restaurant is that now, you can book in advance! UPDATE: The new restaurant will open its doors on Tuesday 12th September 2017.